When strong winds and powerful storms damage your home or business, you can rely on Sierra Restoration to be ready. As licensed general contractors as well as property restoration specialists, we are uniquely equipped to handle whatever damage Mother Nature causes. Whether you are in need of structural repairs, have missing siding, or damage to your roof or trusses – we do it all. Call us today for 24/7 emergency assistance! We have seen first-hand the kind of damage powerful storm systems can cause in our community, and we have helped many of our neighbors with property repairs after wind and storm damage. If your home or business is damaged, do not hesitate to call us. We provide 24/7 emergency assistance, and will respond right away to protect your home from additional damages. No matter when disaster strikes, our team is on-call 24/7 to provide emergency assistance. We will take immediate action to secure your home and prevent additional damage. When your property is damaged it is at risk for water damage and mold growth, so it is important to mitigate the damage as soon as possible. We can provide temporary tarping until permanent repairs can be made. Sierra Restoration has been assisting homeowners in Cache Valley for many years, and we are a trusted name in our community. We understand that when your home is damaged it can be a difficult time for you and your family, and we will work with you to ensure your home is repaired quickly without compromising quality and craftsmanship. 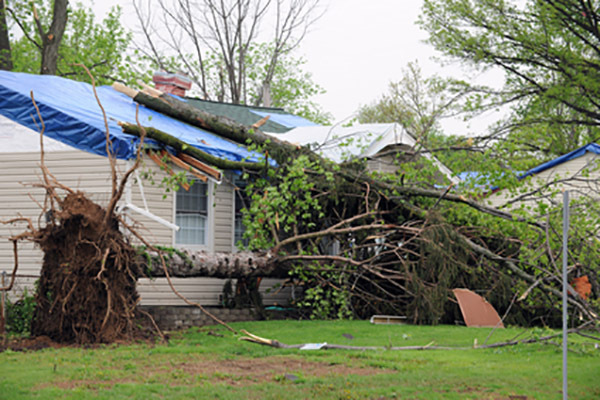 If your home or business has been impacted by wind or storm damage, call Sierra Restoration today!